This is a great quote…something we need reminding of sometimes. We need negatives to appreciate the positives! 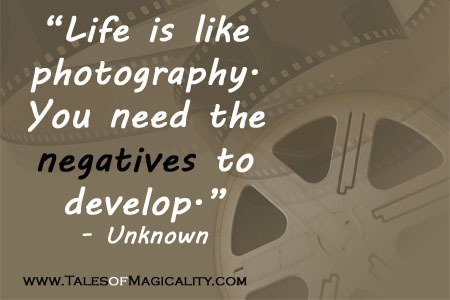 And, negatives always contribute to an overall positive, whether we believe it or not. Have faith in the end result!